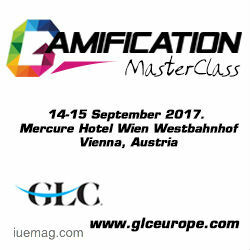 Join the Masterclass for Grasping the art of gamification for HR process on 14-15 September 2017, Vienna, Austria. An Coppens is the Chief Game Changer at Gamification Nation Ltd, which offers gamification design solutions and an online gamification community. 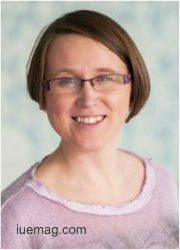 The company is based in London and serving clients worldwide from well-known brands to smaller product focused SME’s. Her solutions are designed to encourage winning behaviors and improve business results in the areas of sales, marketing, HR, learning and productivity. She is an award winning business coach, speaker, learning & development professional and author of several books including “Gamification in business” and “Tapping into crowd”. In February 2016 she was recognized at the World HRD congress in Mumbai as a HR tech visionary. The iUeMagazine team is delighted to work with the Gamification Masterclass for HR purposes as Online Media Partners & is expected to bring Unlimited Inspiration for all readers from the proceedings of this event. Staying tuned to the enriching updates from this event is recommended.